All Summer we have been inside. The temperature outside in Florida is just so hot and humid we try to find activities to do inside. However, this hasn't helped with making Cooper and Allyson tired at bedtime. Quite frankly, the heat has turned us all into slugs. One thing I have let the kids do is ride bikes outside. They're able to ride around with the wind in their hair. I follow behind with a water bottle and hope no one falls. What makes this even more fun is Turbospoke! Allyson and I have the coolest product to share with you. Turbospoke will take you back to your childhood days and make you excited about riding a bike again. You remember that Queen of Hearts or that baseball card you attached to your bike to get the "motorbike sound"? Turbospoke has developed just that, but better! It looks a little like a muffler and sounds so awesome! The installation was super easy for the husband and decorating it was fun. I could have easily attached the Turbospoke to Ally's bike but I decided to let my husband help and feel special useful. 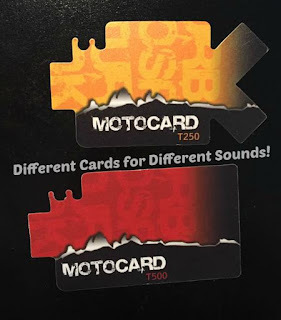 The Turbospoke comes with 3 different cards, so if you don't like the sound of one, you're likely to enjoy a different one. Ally prefers the 3 pronged card shown in the video below. To go along with the different sounds, the end of the muffler has a rather large hole for the sound to project out of! I can hear Ally and her Turbospoke about 5 houses away when she is riding with her Dad! I'd say this thing is LOUD!! Don't worry though, it isn't loud enough to wake the neighbors! Pictures just aren't enough for this awesome exhaust system so we recorded a video for you! I am thinking I need to purchase a bicycle so I can attach a Turbospoke to it. Installation is super easy. Plus you can let the kids put the stickers on the way they envision they should look. My favorite sticker is the flame! Don't go away just yet! We have teamed up with Turbospoke to give away 4 bicycle exhaust systems! This would be a great Christmas or Birthday present! Why not win one and then purchase every other child in your family one for the holidays? Prize: Turbospoke Bicycle Exhaust System -- 4 WINNERS!!! Dates: Starts September 29, 2015 6:00 pm EST. Winner will be chosen October 13, 2015 11:59 pm EST. Disclosure: Sweet Cheeks Adventures teamed up with Turbospoke for this giveaway. Other participating bloggers are not responsible for choosing the winner or shipment of product. They have not receive any compensation for this post. This giveaway is in no way associated with Facebook, Twitter, or Pinterest. The winner will be chose at random by the Giveaway Tool and emailed. The winner must claim the prize within 48 hours or they risk forfeiting the prize. I think any boy would love this on their bicycle. It is so cool and so much fun. If you can hear it five houses down, I'd say it's too loud. Ok if you use it only during certain hours of the day, but I would bet the neighbors would find it annoying. This looks fun! I wish my girls could ride a bike. I know I'd love it as a kid. Oh how cool is this! It adds an extra level of customization to each bike! These are fun! Oh how fun! 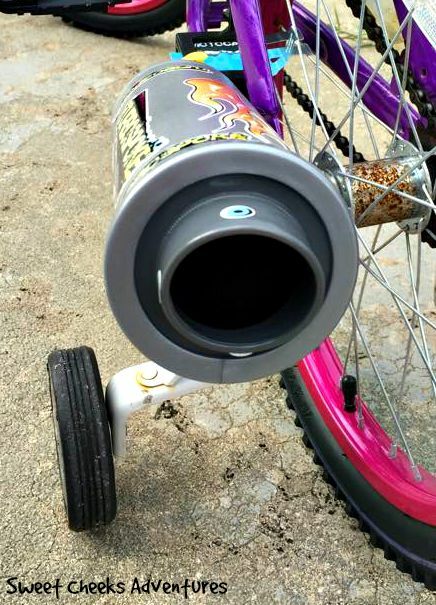 I bet any little kid would love to have this on their bike. The kids next to us used to have an actual toy motorcycle that made noise, but this seems safer! My daughter would LOVE this. But I would have to make sure she only used it during certain times of the day so she didn't both our neighbors. That is kinda cool LOL If I was a kid I would certainly want one! Whoa! That is so cool. My next door neighbor would love that! This is super cool. My nephews and nieces will be so thrilled with this. I bet my kiddos would absolutely love this thing! Me? Not so much. That's really cool! My son would have liked that when he was younger, not sure my girls would go for it but maybe! My nephew would go nuts over this. He just recently learned how to ride a bike (without the training wheels). The turbo spoke would make him feel like he is all grown up riding a motorcycle instead of his bike. Turbospoke looks like a great addition to any kids bike. I want one for my bike to lol. Great video. This is absolutely fun & I a sure many kids would love to have it in their bicycle. 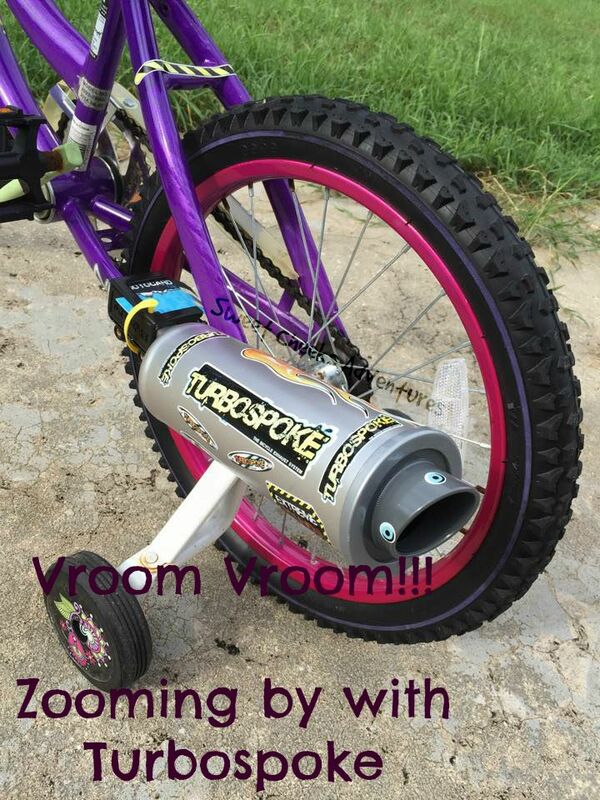 I would suggest Turbospoke to my young bro who loves such different innovations that could add more fun. My niece is going to love this! We just showed her how to use playing cards to make that noise and she thought it was so cool. She is going to really be impressed with this. We used something that we bought at the store - specifically to make the sound - but I can't remember what it was. Like colored sticks or something. Brings back memories!